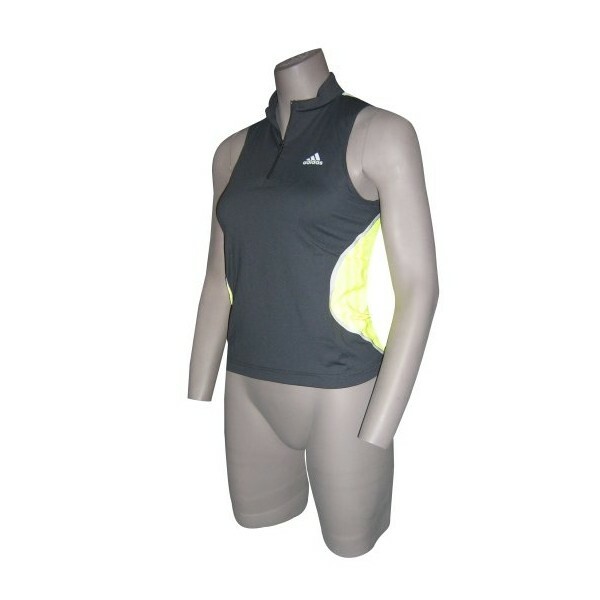 The adidas adistar Shimmel Shirt is a sleeveless ladies top which offers high functionality and optimal comfort. Being combined with sportive design, the adidas adistar Shimmel Shirt offers comfort of highest standards. Being equiped with the adidas specific clothing technologies as i.e. ClimaCool and ForMotion, the adistar Shimmel Shirt convinces especially by its luxurious and soft material including high stretch contents. The ClimaCool-technology offers a well-balanced heat and moisture balance thanks to ventilation. The ForMotiontechnology has been developed for a maximum of mobility. The 3-dimensional pattern guarantees a perfect suit and an optimal accuracy of fit of the adidas adistar Shimmel Shirt. The innovation: There are only two seams on the side of the shirt ! The reduction of the seams offers a comfortable wearing comfort without any skin irritation. 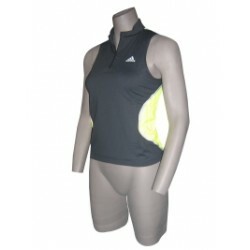 The adistar Shimmel Shirt of adidas offers a perfect workout support for the active sportswoman ! adidas adistar Short Tight Rychlé dodání!